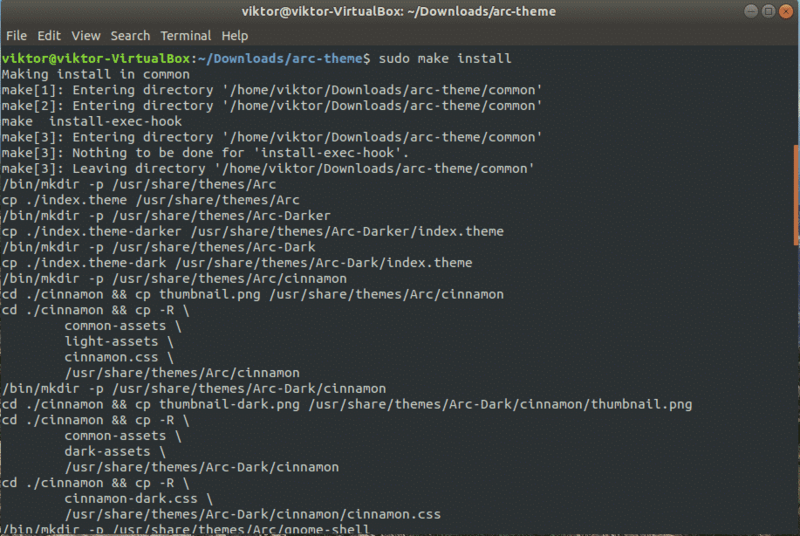 There are a good number of available themes for revitalizing your experience on Ubuntu. In fact, almost all the Linux distros come up with the power of theming. 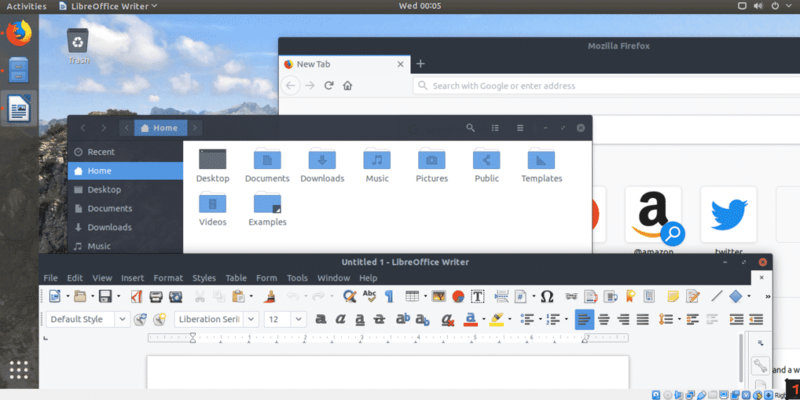 Thanks to popular theming engines like GTK, it’s now possible to enjoy almost any GTK theme on any Linux distro that supports it. No one will ever dare to question the popularity of the well-known and reputed “Arc” theme. Why? Because it’s so simple with the balance between high-quality contrast and modern look. It’s a flat, Material-like theme with transparent elements for GTK (v2 and v3) supporting desktop environments like GNOME, Xfce, Unity, Mate, Budgie and others. 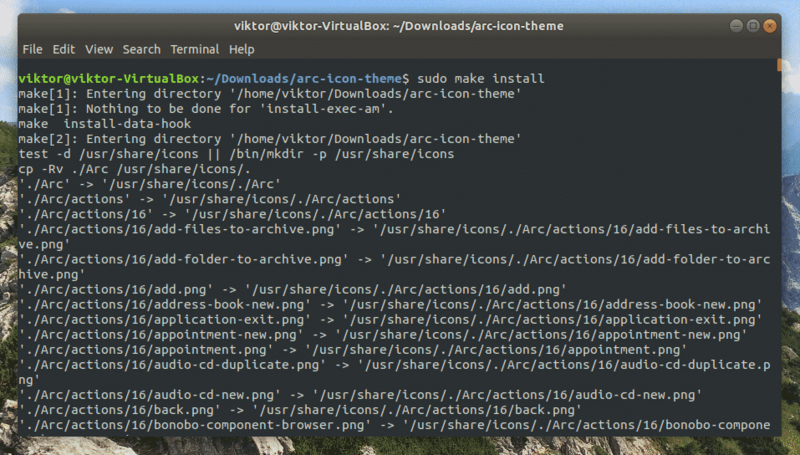 So, if your Linux environment uses GTK as the theming engine, then you will have no problem enjoying the beauty of Arc. Still not convinced? Installing this theme will only take 5 minutes. If you didn’t like it, you’re free to uninstall it right away. Ready? 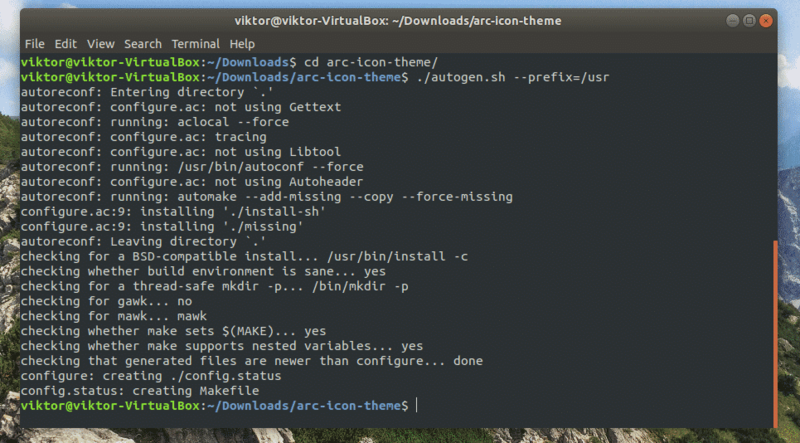 Let’s check out the installation guide for enjoying Arc on Ubuntu! There are a lot of themes available for Linux Mint as well. Check out the best themes for Linux Mint! Note: Arc theme comes up in 3 different flavors: Light, Dark and Darker. Each of them comes up with a different layer of darkening fashions. Arc Dark is my favorite one! Installation of the Arc theme is pretty easy. 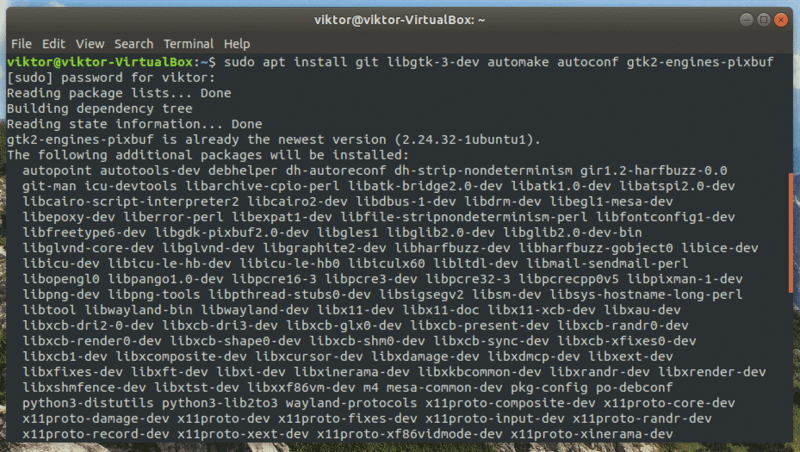 All you need is just running a couple of commands in the terminal. If you’re not comfortable with terminal, don’t worry. These commands are so simple! In fact, all you need is just copy and paste. There are 2 different ways you can enjoy the Arc theme. Because of the insane popularity of the theme, it’s now officially available on the Ubuntu software repository! All you need to do is just tell APT to grab it for you. At first, update the APT cache. The Arc theme is packaged under the name “arc-theme”. Tell APT to install the theme. 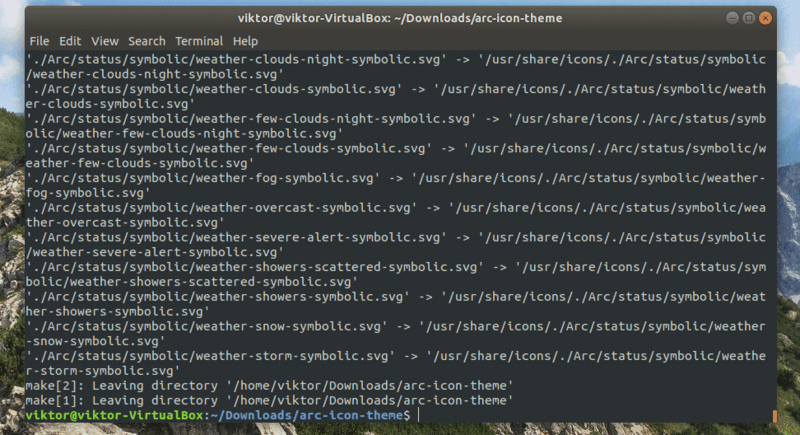 It’s also possible to install Arc theme from the source code. This is a little bit lengthy process. However, it’s so simple that even a newbie Linux user can pick it up. Now, we have to build the theme. Change the active directory. Note: It’s possible to enjoy a whole array of options with this command. Here’s the short list for all the supported command. If you’re willing to use a few of them together, then just add them one after another. –with-gnome=<version> Only for a specific GNOME version (experimental feature). Well, if you don’t have a way of uninstalling the software you’ve installed, it makes things pretty infuriating, right? Depending on what method you choose to install, the uninstallation method will vary. 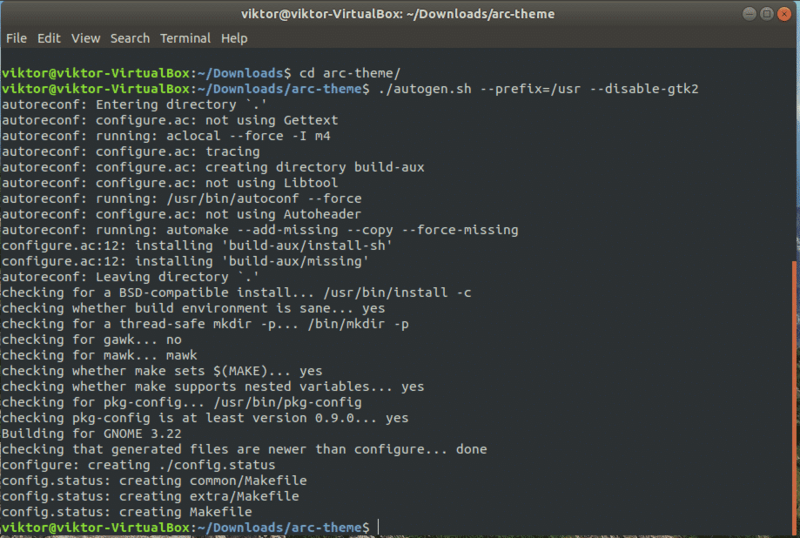 If you’ve installed Arc theme from Ubuntu’s default repository, then it’s just only a command to uninstall the theme from your system. Navigate to the source code folder. Now that you’ve installed the Arc theme, how about the Arc icons? Arc also has its own icon pack with some of the coolest-looking ones in the library. Let’s get started! For this part, the aforementioned dependencies are also required, so make sure that they’re present on your system. Unfortunately, this icon theme isn’t available on the official repository of Ubuntu. But don’t worry; we’ll get it installed by compiling from source. Let’s grab the source code. Now, start the building process. If you don’t like the icon theme, the uninstallation process is similar to Arc’s. Just navigate to the source folder and run the following command. Depending on what desktop environment you’re using, you may have to follow different paths. GNOME: GNOME Tweak Tool -> Appearance -> choose “Arc” or other flavors. Xfce: Menu -> Settings -> Appearance -> Style -> select “Arc” or other Arc flavors from the list. Cinnamon: Menu -> Appearance -> System Settings -> Theme -> select “Arc” from “Controls”, “Desktop” and “Window borders”. Here are all the effects of the Arc. Arc is a good-looking theme with a huge user base around it. Hopefully, Arc was able to revitalize your experience with Ubuntu. Interested in other themes? Check out Numix icon theme, Faenza icon theme, Vimix, and Vertex, etc.